Dundee’s waterfront regeneration has received a further boost with progression of a new creative hub intended to serve as a hot bed for creativity and entrepreneurship. Offering desk space, retail and studio space the hub will provide a home for designers and entrepreneurs with fully equipped facilities including 3d printers, laser cutters and banks of computers running the creative cloud. 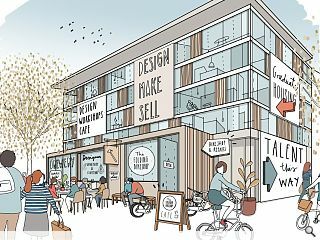 Designed by HTA Architects the scheme will include a street level gallery and retail space as well as a café/bar with studio and two bedroom apartments built directly above. Matthew Bell, CEO of Our Enterprise said, "Dundee has one of the highest proportions of students to overall population of any city in Europe. 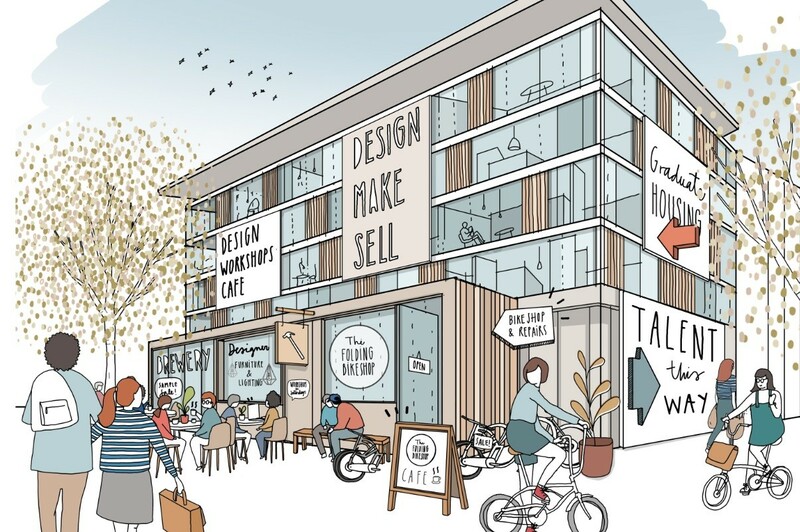 “We hope this scheme will persuade them to stay in the City when they graduate by offering fantastic apartments, collaborative workspace and the opportunity to be part of a young community with the spark to create and sell great art and products." A formal planning application for the project is expected by the end of the year enabling work to start in 2017 for completion the year after. Looks great! Nice to see Dundee coming along well. Apparently there was a design competition for the gardens at the waterfront - anyone knows what happened there?